Note that this is different from using the normal Yahoo! Maps and panning the world map to Japan. Yahoo! 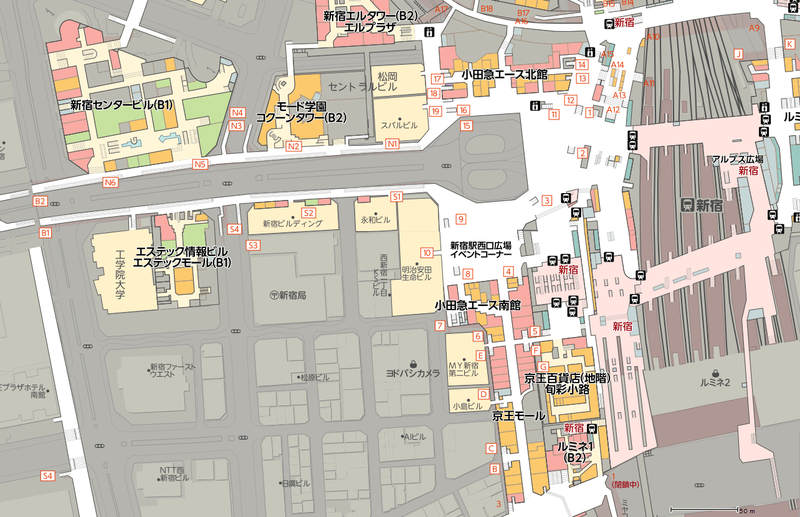 Maps Japan has an underground map layer that allows you to see underground passages and shops in key areas such as Shinjuku Station. For a metropolis that prides itself on its underground connectivity, this may come in more handy than you think! Other unique layers include layers that focus on train routes and water bodies. It’s purely in Japanese so it’s unlikely to be everyone’s cup of tea. Surprisingly, the routing function is not as user-friendly as that of Google Maps. Google Maps has a more friendly public transport routing function. For example, clicking on a single station quickly leads to the entire train lines connected to the station being highlighted. You can also have labels in both English and Japanese. 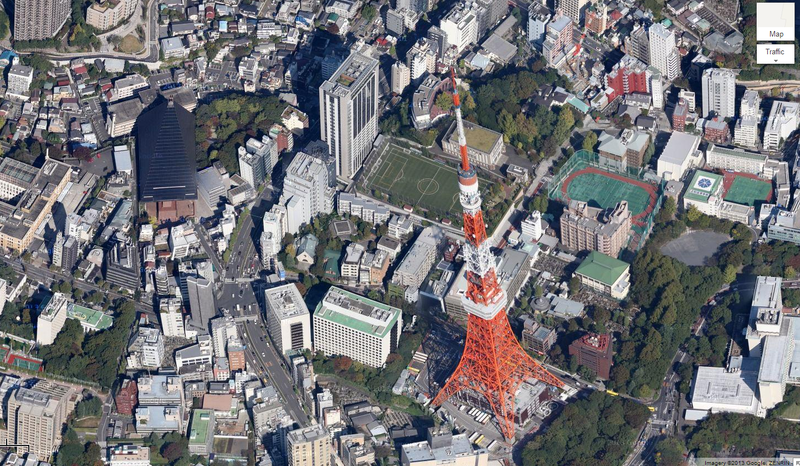 Also, Google Maps has this unique function which allows a 45 degrees view of the surroundings – far more pretty than a plan view satellite image. Note, however, that this function is not available for all cities in the world. And arguably one of the strongest points of Google Map is the Street View function, which comes in handy when you are planning to visit unfamiliar territories, or just to scout the area around a potential apartment to rent. 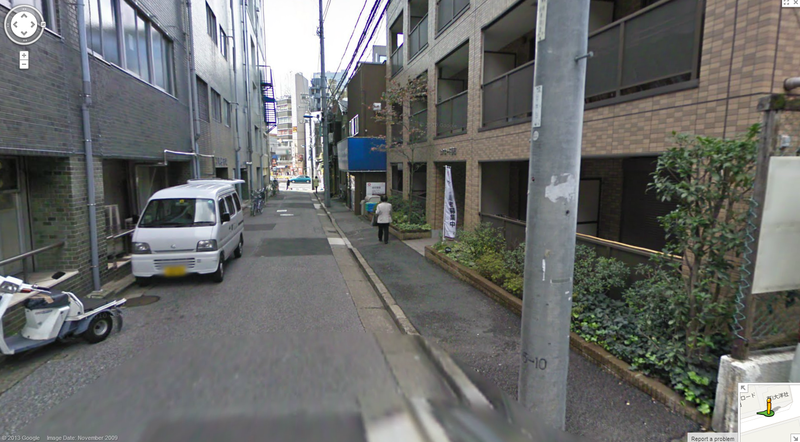 Shops and buildings are less accurately drawn due to lack of localisation. There are, of course, many other such map services provided by smaller market players which lack the bells and whistles of those mentioned above. The main advantages of those listed below are that they are extremely localised and can provide very detailed information on shops, businesses, etc. 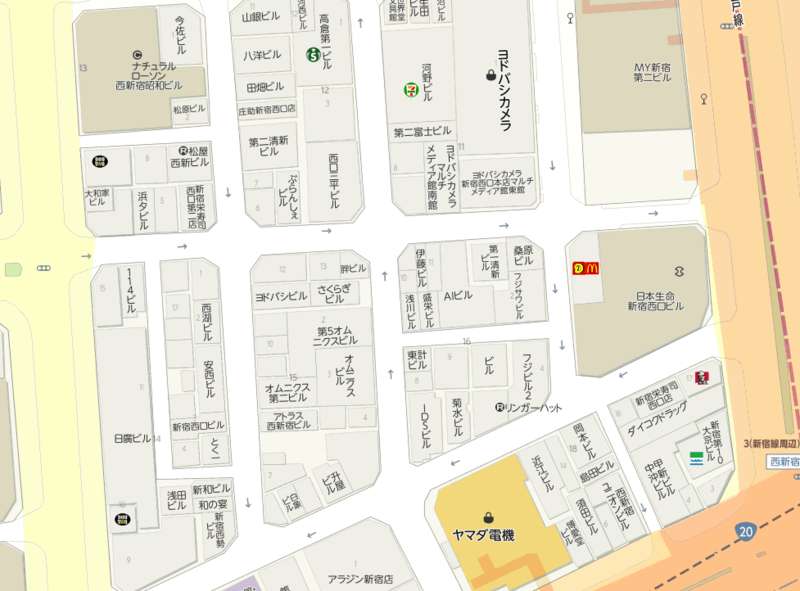 One thing that some may find annoying is that most home pages of map services in Japan are not maps themselves, but a listing of hyperlinks of prefectures and cities. Only after clicking through 3-4 times would you get to the actual map interface.